Top Yield produces non-woven materials for use in the personal care and cosmetic sectors. 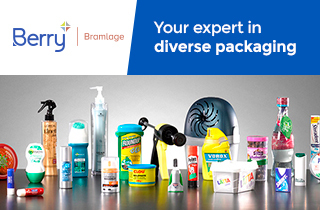 Top Yield produces high-quality ancillary packaging elements that aid in the correct application of personal care products. Among its many items, it offers face masks for correct hygiene and a variety of mittens, socks, and other components to offer consumers a quick and easy way to apply creams, serums, and gels used in personal care treatments. Top Yield products are made of viceral 100% lint extract. They offer a soft, silky, and smooth feel with immense flexibility to closely affix to the skin. The unique netting and non-static treatment further enhances the application experience. In addition, the lint extract’s ultra restrainability helps to saturate the nutrient essence and to penetrate into the bottom of the skin. Top Yield was founded in 1989, and is dedicated to the researching, developing, manufacturing, and distributing of non-woven fabric related dispensing solutions for its personal care products. Forward-thinking, TYTJ allocates a tremendous amount of capital to technological advancements and upgrades of production and equipment. The company is focused on building an extensive distribution channel and developing world-class partnerships.